The most notable island chains in the North Pacific are the Kuril and Aleutian Islands. The Aleutians arch out from Alaska towards Russia, and the Kurils stretch from the Kamchatka Peninsula, Russia, to Hokkaido, Japan. The Japanese invaded the Aleutians during World War II. The Japanese occupied the islands of Attu and Kiska, but both were eventually regained by American forces. 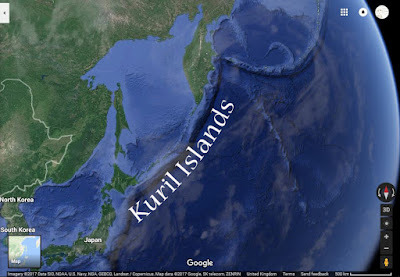 The Kuril Islands however are still contested to this day. The two southernmost islands, Iturup and Kunashir, were annexed by Russia in the aftermath of World War II. The issue continues to be a political sore point between Russia and Japan to this day. 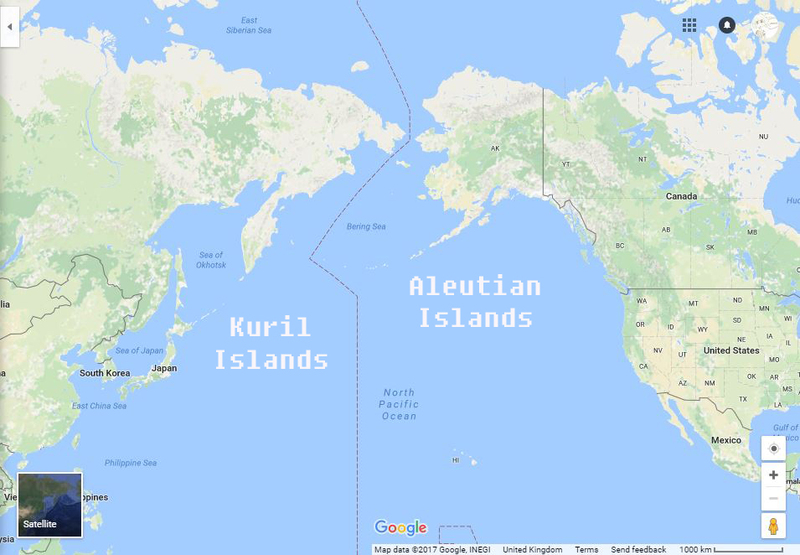 Interestingly, I also discovered that there are still disputes between Russia and the U.S. over island territory, only this time in the Arctic Ocean. I came across the following article which essentially claims that successive American presidents have been secretly negotiating with Russia over competing claims in the region. Of particular interest is Wrangel Island, situated in the Arctic Ocean, north of Russia. The Island is named for Russian explorer Baron Wrangel who had heard of the island but didn’t set eyes on it, let alone a foot. 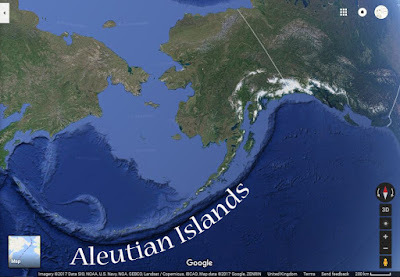 The U.S. had reason to believe we owned the island(s) and to back that up, there is a Treaty ceding land to the U.S. and the GiveAway “Agreement” ratified by the U.S. Congress but never signed by Russia. While the later document is an “Agreement” our State Department refers to it as a “Treaty.” Never mind the truth. There is a concern about Alaskan fishing rights as well as thousands of miles of “rich sea beds” at stake. Today Alaska says their state was never consulted, and did not consent before the giveaway that Russia DID NOT accept. AND HERE’S THE KICKER, the original maps used to draw the boundary lines governing the Agreement are lost. Neither side can produce the maps, and as you can guess, both sides dispute what belongs to their side. It's very interesting that these maps are "lost" - and also very suspicious. I wonder what these maps would show, or even if they ever existed at all. EARTH HOAX; What Did The Old Maps Depict? EARTH HOAX; Can We Doubt the World Map?